2018 marks a new beginning for the Eurogroup, Greece and relations with the International Monetary Fund. 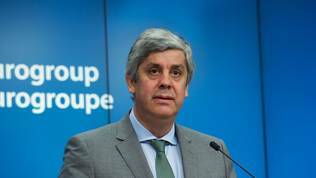 The first meeting of the euro area finance ministers started with a new chairman - Portugal's Finance Minister Mario Centeno. There are great expectations for a change of course under his leadership of the informal group. 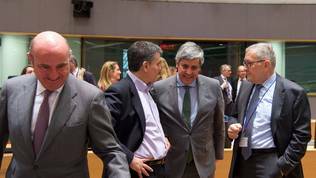 A change at the helm of the Eurogroup Working Group, which is responsible for preparing the Eurogroup meetings, has also been approved. Since 2012 chairman of the EWG has been the German Thomas Wieser. He will be replaced on 1 February by the Dutchman Hans Vijlbrief, the ministers decided at their meeting on Monday (22 January). With renewed leadership the Eurogroup has started preparations to complete one of the toughest tasks that has tormented the euro area since the beginning of the crisis - Greece's exit from its third bailout programme. 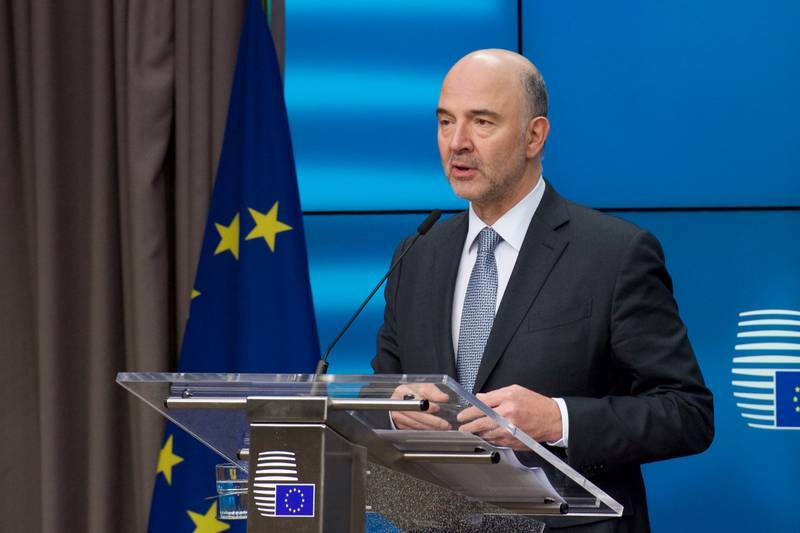 The eurozone finance ministers tasked the working group to start working on establishing a special safeguard mechanism which will accompany Greece after its exit from the bailout programme in August this year. The mechanism is supposed to reassure the IMF so that they can finally give up their stubbornness and join the programme in its last leg. What does this mechanism do? It is more known as the "French mechanism" because it was proposed by the then freshly appointed French Finance Minister Bruno Le Maire in June last year as a compromise solution to ensure IMF's participation in the bailout. The mechanism will play the role of an insurance in case the different calculations of the Fund and the European institutions about Greece's economic growth and its ability to pay back its debt do not converge. The problem between the euro area and the Fund emerged because of differences in the calculations of the debt sustainability of Greece's public debt. As a result, the Fund demanded the European institutions to do more to relieve the Greek debt as a precondition to join the programme. Greek debt is expected to drop to 177.8% of gross domestic product this year, according to the European Commission autumn economic forecast. The mechanism will not be triggered if the Greek economic growth is within the boundaries of forecasts and above. But if growth is disappointing the mechanism will be triggered through additional debt relief. What will be the measures to be applied in such a scenario is to be agreed by the working group, which is expected to complete its work by the end of April. 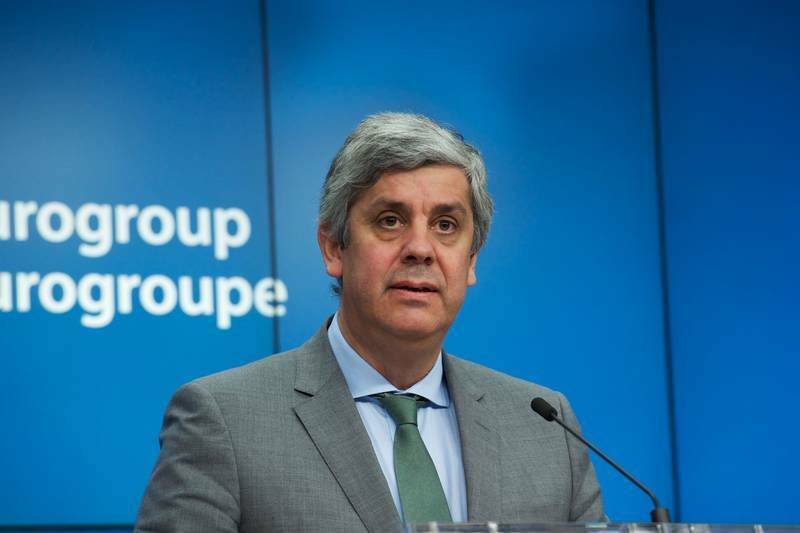 To ensure that Greece will to everything possible to avoid triggering of the mechanism, the Eurogroup has recommended in its Monday statement the government in Athens to start working on an "ambitious comprehensive growth strategy". The strategy has to be developed in cooperation with the European institutions long before the end of the programme. Greece's Finance Minister Euclid Tsakalotos said that work has already begun on such a strategy. Last Saturday, the central committee of the SYRIZA party held an in-depth discussion on a future strategy with measures to boost growth. The strategy, he said, should help converge the differences in forecasts of the IMF and the European institutions. 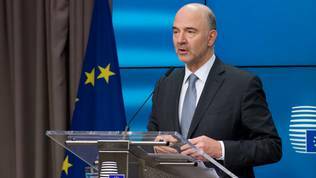 EU Commissioner for Economic and Financial Affairs Pierre Moscovici (France, S&D) was an optimist that an agreement with the Fund is possible. "I must say that today I feel quite confident that we will get them with us and that they are also impressed favourably with the important progress made in Greece and by Greece", the commissioner said. European Stability Mechanism chief Klaus Regling (Germany) was more cautious. On the occasion of the sentence in the Eurogroup statement on Greece, in which ministers call on the European institutions and the IMF to take into account the Greek growth strategy when they update their debt sustainability reports, Mr Regling commented that the purpose of this sentence is to converge the views of the institutions regarding Greece's growth. "We will see if that works but we hope", he said. The Eurogroup ministers reached a political agreement to close the third review of the bailout programme because Greece has managed to complete almost all prior actions. There are just a few things the government in Athens will have to do to unlock the next tranche of 6.7 billion euros, which will be disbursed, as usually, in two sub-tranches. The first part will be of the amount of 5.7 bn euros and will be disbursed probably in the second half of February. With this money the government will repay debt and clear arrears. The second part of 1 bn euros will be disbursed in April under the condition that the new electronic auction platform will be completely functional. The platform is already operational and the first auctions took place successfully but the institutions want to make sure that it will work smoothly. That is why, the Commission will ensure constant monitoring. Klaus Regling explained that of those 6.7 bn euros 1.9 bn will be set aside as buffers. Euclid Tsakalotos added that the objective of these buffers is in fact to avoid agreeing on a precautionary credit line after the end of the programme in August. "I do not see institutions have much appetite for a precautionary credit line because what is the point of building buffers. And the 1.9 bn euros is part of that buffer", he said. Klaus Regling, for his part, hopes that the e-auction will prove efficient also in reducing the level of NPLs in the Greek banking system. 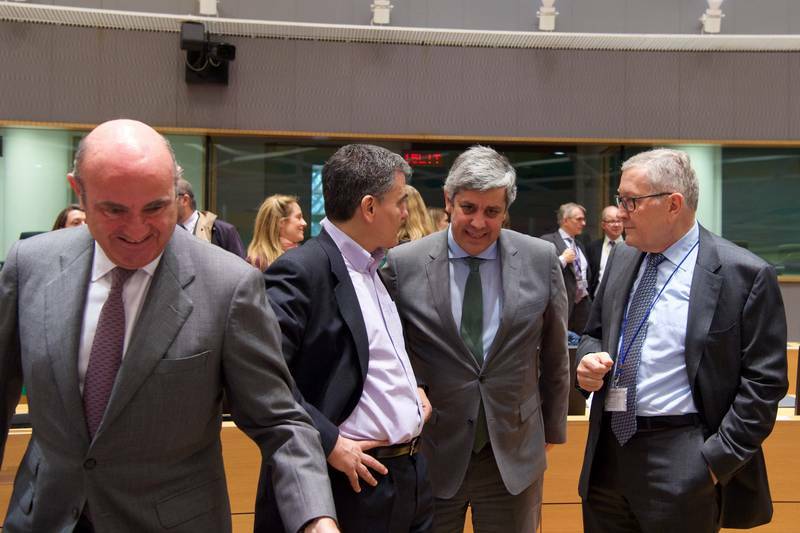 Everyone was praising Greece after the end of the January Eurogroup. In the air in Brussels there is a sense of expectation to finally close this tormenting chapter of the euro area history. It is curious, though, that the beginning of the eurozone crisis was marked by credit rating agencies and the behaviour of the financial markets. The irony is that it is them who will close the last page. In the peak of the crisis, the European institutions were strongly frustrated by the work of the credit rating agencies and the subsequent reactions of the financial markets, because of which euro area economies were falling one by one like a domino. There was even a time when a new regulation of their work was discussed and there was even an idea to create a European credit rating agency. Each downgrade notch was taken negatively by European leaders and was sometimes ignored. However, the situation today is different. The credit rating agencies are again a harbinger of a bright future, judging by the words of ESM President Klaus Regling. On Monday, he praised the Greek progress pointing out that the process of closing the third review went more smoothly than many expected. "Markets have also noticed that and the yields of the Greek government bonds have been falling fairly continuously in recent weeks and reached levels as low as not seen in a very long time. Also rating agencies are taking notice", said Mr Regling.